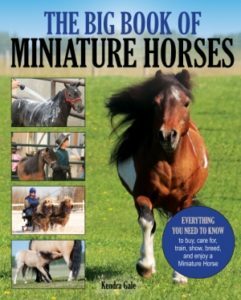 It has long been the norm in the show ring to remove all the hair from your Miniature Horse’s muzzle and eyes. Exhibitors prepare their horses not only by clipping with a very close blade in these areas, but also shaving with a razor and shaving cream, removing every trace of hair. That has never been my style, given that a) I can’t even shave my own legs without drawing blood and b) it isn’t really my cup of tea. 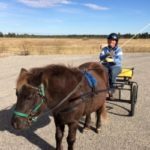 My horses live outdoors, and while there are ways to keep them safe and comfortable even with the removal of the hair and whiskers on their muzzles and eyes (sunscreen, flymasks etc) it just wasn’t my choice. I preferred the look of them with hair on their face, and since I was enjoying them at home a whole lot more often than they were seen in the inside of a show ring, it wasn’t worth it to me. Instead, we always close clipped the muzzle and eyes and left it at that. No razors, still some hair on their face, and a quick return to a more “natural” look for me to enjoy around home. In recent years though, I’ve been reading more and more about how horse’s whiskers are more like cat whiskers, “vibrissae”, each feeding information to a dedicated area in the brain. Far from being “just hair” the whiskers are thought to be an integral part of the sensory system of the horse. I first showed a horse with full whiskers when I began showing Image again. His vision was compromised, at his last show he had already had his right eye removed. I figured he needed all the sensory help he could get, and left all his vibrissae, on his muzzle and around his eyes, intact. He was only shown in harness, but I never felt it detracted from his placings whatsoever. Since his retirement, Image has lost virtually all of his vision, and I have seen how he relies on his whiskers to help him. I watched him race around the barn this winter, get out of his usual “safe zone” and stop dead inches away from crashing into a table. I’m sure that was information from his vibrissae that allowed him to avoid a collision. 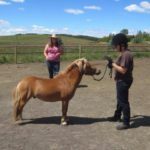 Last spring I was getting Rocky ready for a show, and agonized over the decision. My conscience said to leave the whiskers, but I didn’t want to handicap him in the halter ring either. I close clipped his muzzle and eyes, as I have for years. A poorly timed wasp sting and associated swelling resulted in awful pressure sores on his muzzle and permanent scarring. Was the removal of his whiskers responsible? No, probably not. But it is forever linked in my mind, and every single day when I see those ugly white marks on his face I kick myself for making the decision to trim his whiskers, just in case it may have made a difference. 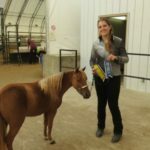 At the next show, I took Sonic, who was in Obstacle, Showmanship, and Halter – he showed in full whiskers, and I don’t feel my decision affected his results; he placed just about where I felt he should, even getting a 2nd in a great big showmanship class and a 4th in a large class of halter geldings at his very first show. 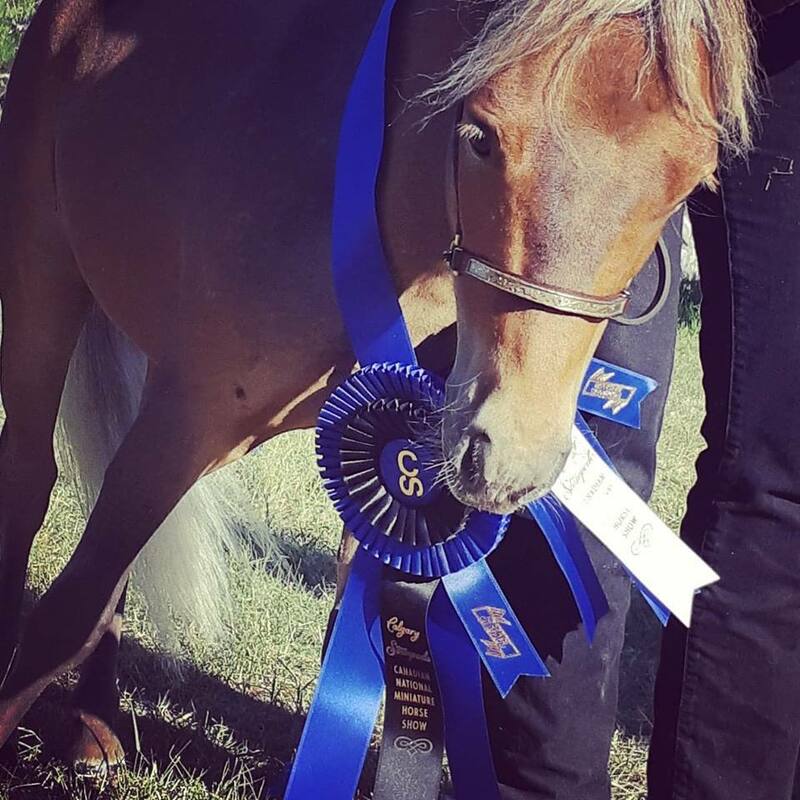 This year, when I was getting my yearling geldings ready for their first show, I knew it wasn’t going to be worth it to me to trim their whiskers off for their one class in one show, and if that hurt their chances, so be it. They were there for the outing and experience more than a ribbon anyway! Both colts came home as reserve champions, placing both above and below horses who were fully razored on their faces. I’m confident their whiskers were not a factor in their placings. There are multiple European countries who have outlawed the trimming of vibrissae, and in most FEI level disciplines you’ll find bewhiskered horses competing. Now I’ve never, ever, noticed any of my horses have any issues with the loss of their whiskers, and because of that, I’m certainly not going to judge anyone for choosing to continue to clip or even razor their horse’s whiskers. If that is the look you prefer for your horse, and you are able to keep them safe, comfortable and happy, then that’s your choice to make. But I am convinced it isn’t the right choice for me anymore and I wanted to share my experiences and reasoning, in case it resonates with someone who is struggling with the decision. Your post came just at the right time for me. Next weekend, weather permitting, I’ll be showing my gelding in the only driving show nearby in turnout, pleasure, reinsmanship and cones. He lives outside 24/7. I have always clipped his muzzle but based upon what is coming out in Europe, I was considering not doing that this year. Your post has reinforced that decision for me. We don’t usually do that well in turnout anyway, as we have a modern metal cart (Bellcrowne), so I think I’ll just skip it. If the judge comments, then I’ll give my reasons why. Hopefully that will eventually become the norm, especially if more judges don’t make that a factor, and if major exhibitors also go that route. Well done you, Kendra. I have always firmly believed that horses of all sizes evolved with their whiskers for a very good reason, and that they should never be removed. 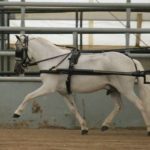 I don’t show, and never have except very informally to give young horses something else to think about during their training, but I believe such things as whiskers should never be a reason for putting a horse down the line. Clean, fit, healthy and well- but naturally – groomed (without artificial tails, extra grooming products – if your horse’s coat needs extra stuff applied to make it shine perhaps you should consider his health/diet etc) should always be the norm.